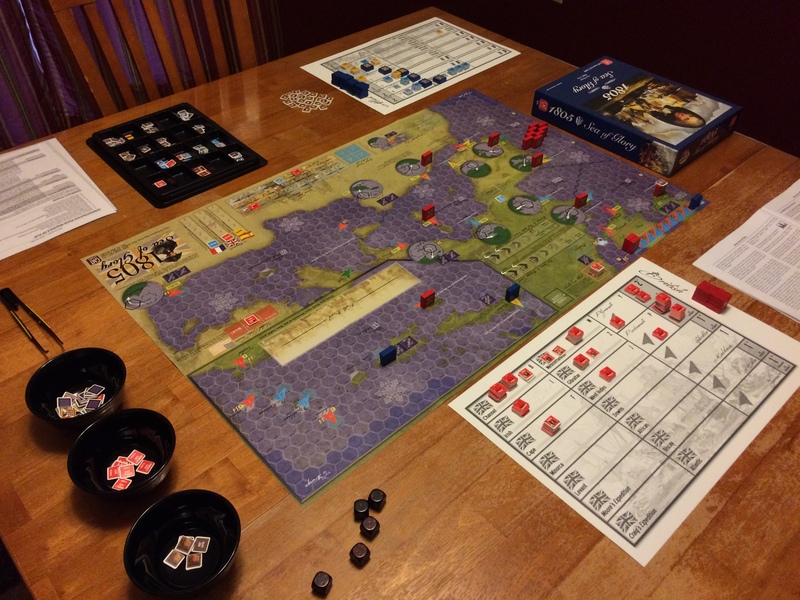 1805 Sea of Glory – A Beautiful Game. A while back I was I was talking to a friend of mine about possibly getting a Nelson/Napoleonic Era naval game. He had recently re-purchased Wooden Ships & Iron Men and plan on getting some miniature ships to complement the game. So I new that I wanted to get a game that was more “operational” than tactical. I settled on 1805: Sea of Glory by GMT Games. I have read through the rules and I think I will enjoy it greatly. The rules as released have needed lots of revisions. The living rules and updated charts are posted on GMT’s site. The map is gorgeous. After I get my son to sit down and play a game with me I will post some thoughts after play.